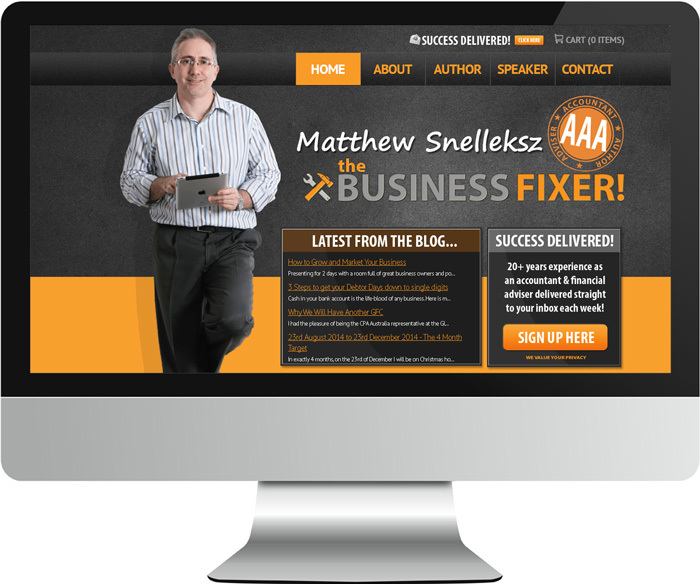 This website is for 'The Business Fixer', Brisbane accountant Matthew Snelleksz. He is a well known speaker, author and conveyor of very sound advice on how to succeed in small business. The website we made features a very bold design, online store, newsletter integration, and mobile responsive layout. We used the Drupal CMS to build this site.